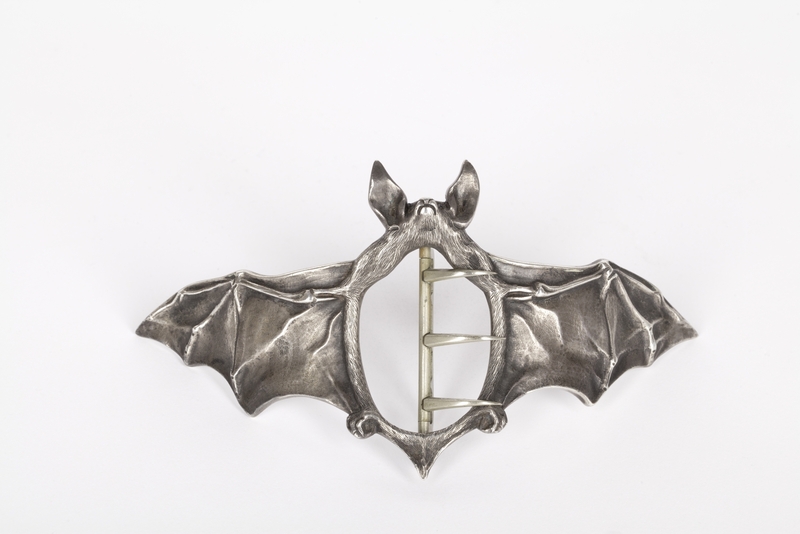 Beautiful worked silver buckle in the form of a bat by Ferdinand Erhart, around 1908. Similar buckles have been in the collection of The Rijksmuseum Amsterdam since 1984 and in Musée d'Orsay in Paris since 1997. Erhart had been experimenting with different metalworking techniques. 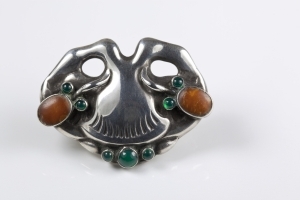 Here the silver has been treated, probably with acids, so that it has acquired a dark 'oxidized' colour and its structure now resembles the skin of a bat.